People have lived with cats for hundreds…thousands of years. 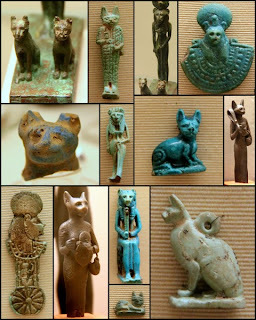 These artifacts attest to human interest in cats in Ancient Egypt. 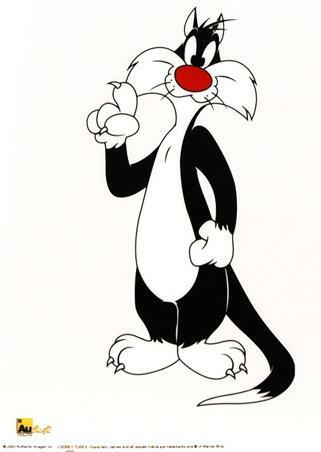 Some scientists speculate that cats were first domesticated about 12,000 years ago and were descended from a Middle Eastern wildcat, Felis Sylvestris, which means “cat of the woods”. Of course, we use the word “domesticated” loosely, because as every cat owner knows, nobody owns a cat. Maybe cat and human relationships began when humans settled down to farm and store their produce. Cats were drawn by the easy abundance of mice and other critters and humans were delighted by free pest control. In the United States today, cats are popular house pet with 30.4% of households gladly owning (serving?) 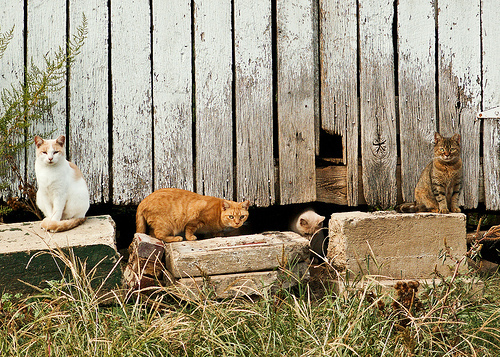 around 36 million cats–that’s an average of 2 per household. Tell us about your cats!